H7cm (excluding hanging loop) x W5cm. 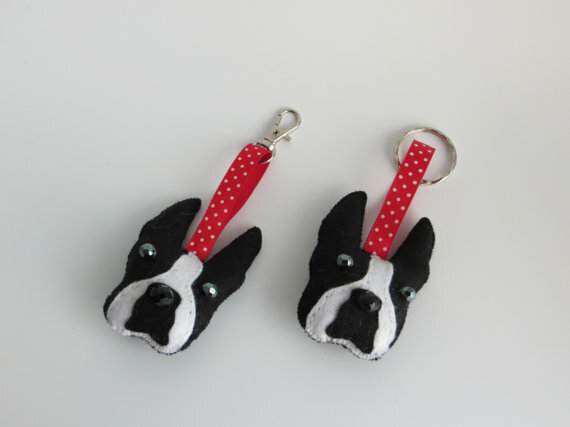 These Boston Terrier keyrings were designed and made by me after a request form Boston Terrier lover and owner Rosanne, who has 3 Bostons, and shows them! This design is called Murphy after the photograph of the dog she sent me. Completely hand sewn, they are made from felt and filled with polyester stuffing. 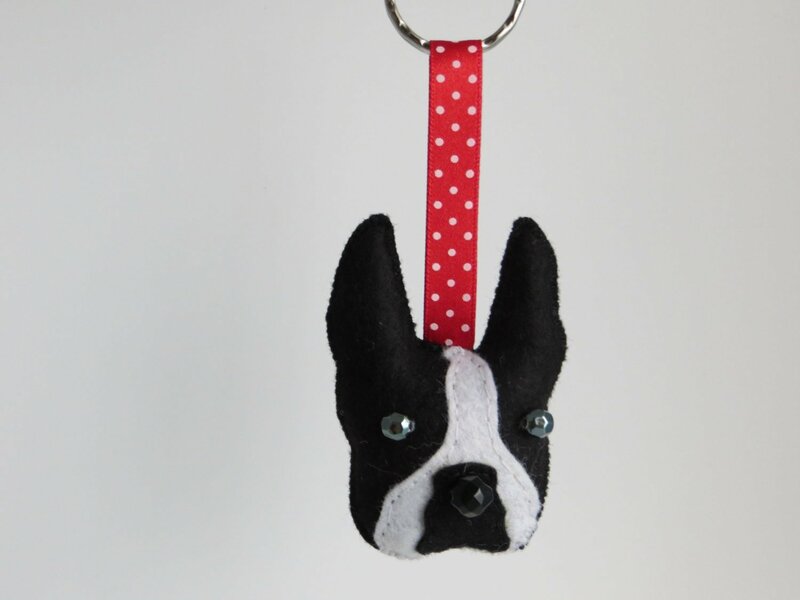 Two gunmetal grey beads for the eyes and a shiny black bead for the nose finish the details, with a red hanging ribbon and metal keyring. 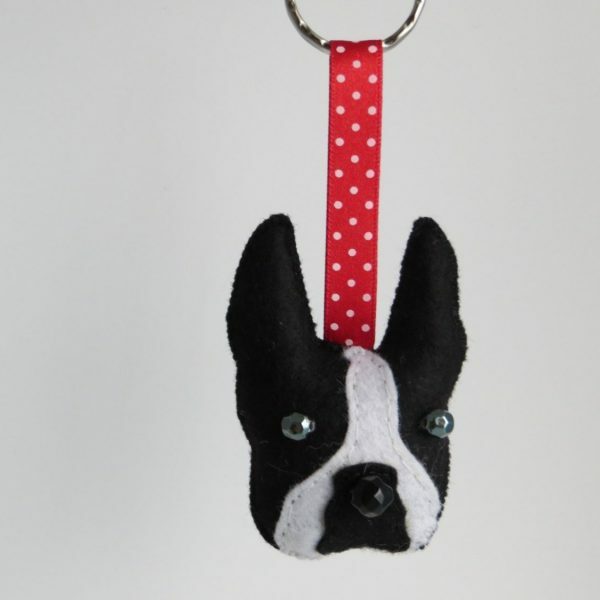 Also available as bag charms and brooches. Detailing to one side only. 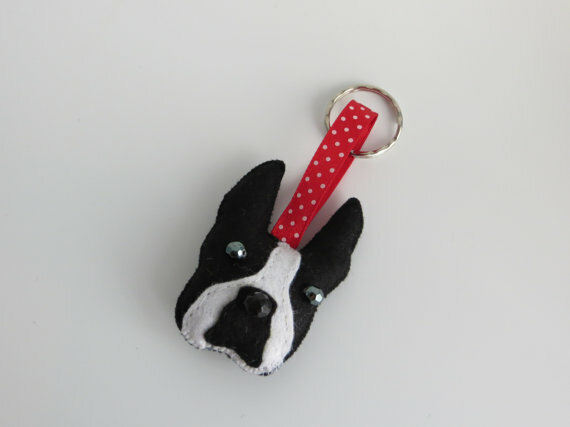 Materials: Felt, ribbon, polyester stuffing, beads, keyring, keychain.